Kenny J: Welcome to the New Year. It's going to be a fun one and in a fashion that is typical of Marvel, all of my picks for the first week of 2016 are from the publisher. In suitable style there are a fair few first issues as well. 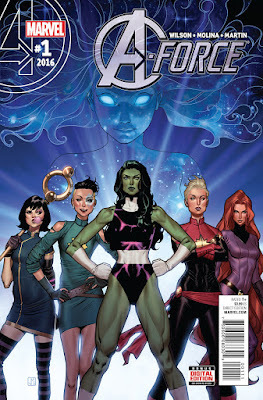 I greatly enjoyed the short run that writers G. Willow Wilson and Marguerite Bennett gave us in A-Force as part of the Secret Wars crossover so I'll definitely be picking up the renumbered issue #1 of this series as the repercussions of Battleworld play out in an 'All New, All Different' Marvel. The same goes for Weirdworld as we get another volume of a Secret Wars tie-in, albeit with a different cast, setting and writer as Sam Humphries joins artist Mike Del Mundo. 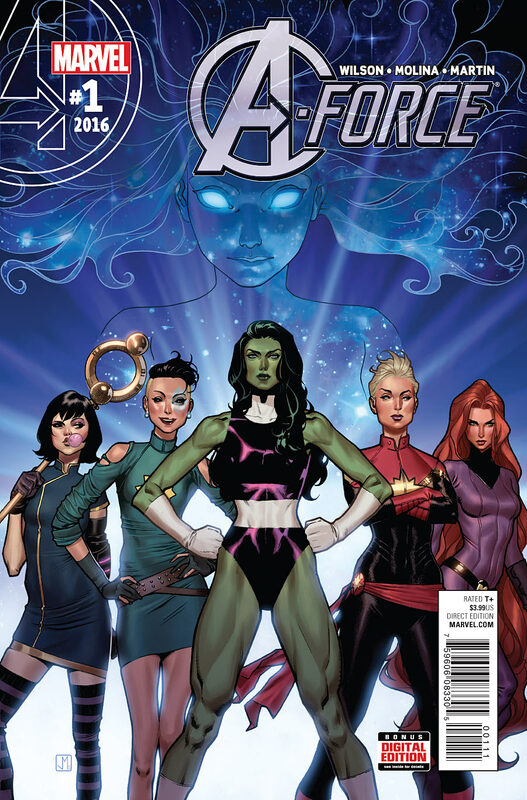 The book I've been waiting for since the relaunch of the Marvel Universe is Uncanny X-Men #1. Cullen Bunn has proven he can write interesting and well-rounded villains on Magneto but now he has a plethora of bad guys, good guys and those in between to play with including Sabretooth, Mystique and Fantomex. If there is a slight disappointment that Jason Aaron won't be returning to Weirdworld I can take solace in the fact that Wednesday also brings another instalment of Doctor Strange. This might be my favourite book being published at the moment. The overarching plot may be being drip fed to us but it's a fun, inventive read and Chris Bachalo’s imaginative artwork is always a joy to look at. Matt C: Firstly, let me apologise for the error I made last week, suggesting Obi-Wan And Anakin #1 was due for release then. I was mistaken, it's out this Wednesday. I hope I didn't ruin anyone's New Year celebrations with that blunder! Moving swiftly on, this week - bar the aforementioned Jedi-themed book - is all about reliable favourites rather than debut issues. So we get Black Science #19, Doctor Strange #4, Nailbiter #19, Letter 44 #22, Sheriff Of Babylon #2, Star Wars #14 and Vision #3. That last issue in particular needs highlighting because it's turning into one of those series where you're going to feel like you missed out in a big way for not getting in there earlier. That just leaves the finale of The Fade Out, one of the best books of the last 12 months, and although I'm gutted it's concluding, I expect it to go out on a real high.